Each room has great views for our patient's to enjoy, and overhead monitors with internet access, satellite TV, and streaming netflix, and of course with noise cancelling headphones. Our beautiful and immaculate office is very easy to find. Located right on the SE corner of N. Scottsdale Road and E. Cheney Drive, with plenty of free convenient parking. Please park as close to the center of the building and walk in under the large portichere and enter our building lobby, (building A) through the double doors on the left hand side. There you will find the elevators that will take you up to the second floor. 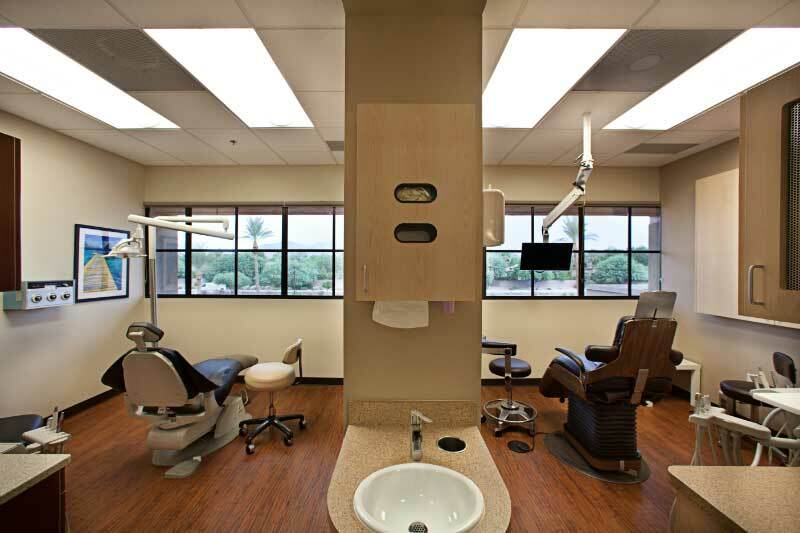 Scottsdale dentist, Dr. Kidess is licensed as a sedation dentist Phoenix, and our office is designed in a way to help you relax from the moment you get here and through-out your visit with us. Sedation dentistry Phoenix is a wonderful option for a patient who is apprehensive and has been putting treatment off because of dental fear. Alternatively, sedation dentistry Phoenix can be a wonderful treatment option for a patient with an extensive treatment plan and therefore months of treatment can be done in 1 or 2 visits under the care of Dr. Kidess, a sedation dentist Phoenix. For some sedation dentistry Phoenix, may not be necessary – especially once you visit us and see our level of care and service, in addition to the other amenities we provide to help you relax, such as large screen TV’s in each treatment room. However, if you change your mind, Dr. Kidess, your sedation dentist Phoenix, is here to help you make a choice with your dental anxiety relief as needed. We know you have many choices when choosing a Cosmetic and Sedation Dentist in Scottsdale, Paradise Valley, Phoenix, AZ so we have made requesting an appointment a simple process via our Web Site. If, for any reason you cannot keep a scheduled appointment, or will be delayed, please call us as soon as possible. We will gladly assist you in filing for insurance benefit claims if you have insurance. We are a provider for Delta Dental Premier/Idemnity Insurance Plan. Fully computerized with digital x-rays, intra-oral cameras, and instant cosmetic enhancement imaging. Each patient treatment room has a flat-screen TV monitor for patient viewing of their treatment needs, images, education and for entertainment (watching satellite TV, streaming Netflix, DVD/movies) during their actual dental visits. This is especially popular during extended treatment visits. We also have noise cancellation headphones, and a variety of CD’s for your pleasure. Feel free to bring your MP3, iPod, etc. Dr. Kidess is also a huge Animal Lover, and is especially fond of Labrador Retrievers. 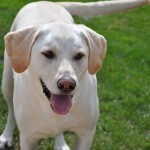 Ask her about her Yellow Lab-Lulu..